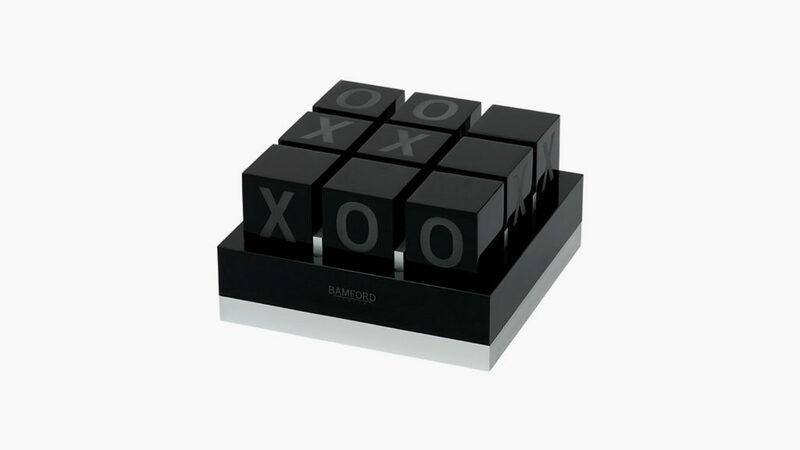 A luxury tic-tac-toe set (and arresting home décor) made from aluminum and polished acrylic. If you hail from the United Kingdom, you call it noughts and crosses. If you’re American, it’s tic-tac-toe. No matter what you call it, this classic childhood game of basic strategy dates back to ancient Greece. But while the majority of us grew up playing with paper and pencil, the ancient Greeks favored a variation that employed roofing tiles. 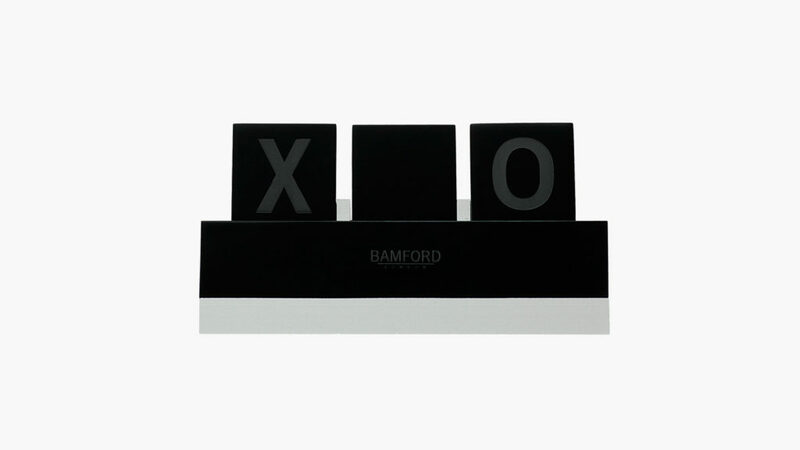 In this spirit, the British wristwatch and sundries company Bamford London has made its own highly stylish noughts & crosses set from black acrylic and silver-tone aluminum. Housed in a holder that functions as a playing board, this luxury set offers a perfect way for family and friends to spend a few minutes together while sharing a game. 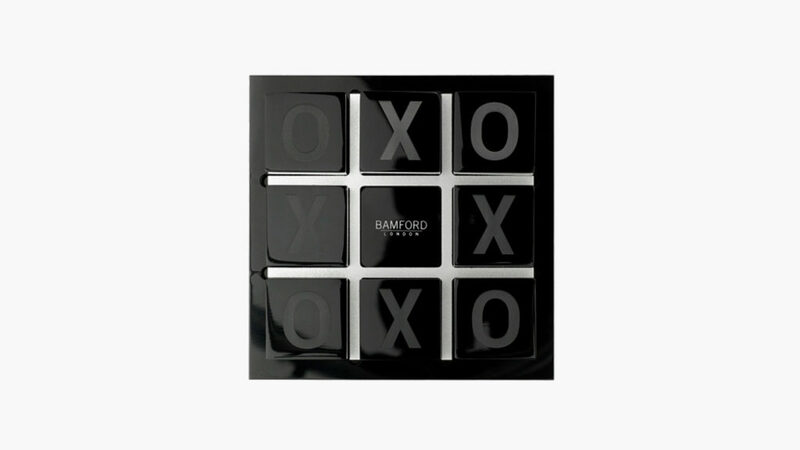 Of course, the Bamford London Noughts & Crosses Set also doubles as an arresting piece of home décor, with the polished black acrylic and silver aluminum surfaces offering a striking contrast. In terms of industrial and revolutionary, this secluded warehouse conversion is one of the most creative yet. Located in downtown Bangkok, this modern home for an extended family stressed both privacy and togetherness. Intellectual property law has never looked so beautiful.